Location: at his farm in Kirura village, Gathiruini. 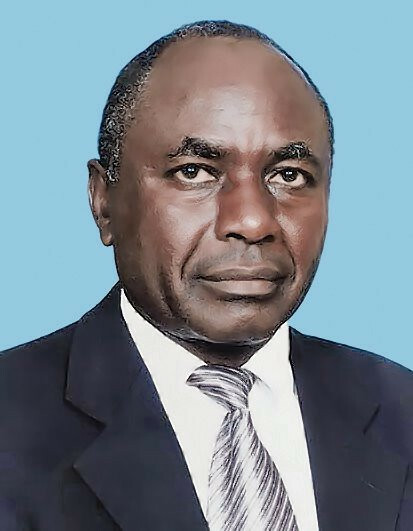 It is with humble acceptance of God’s will that we announce the promotion to glory of ELDER Stanley Ndungu Kiguru on 13/4/2018, while undergoing treatment in India. He hailed from Kirura village, Gathugu sublocation, Kiratina location, Githunguri, Kiambu County. Son of the late Kiguru Kiambuthi and Esther wanjiru Kiguru. Husband of Pauline Wanjeri Ndungu. Father of Alfred kiguru Ndungu (USA), Esther wanjiru Waiharo (MKU) and Daniel Gachura Ndungu (Safaricom). Father Inlaw Felistas Waithera (USA) and David Waiharo Karanja (KDF). Grandfather of Eric Ndungu Kiguru, Brice Gachoka Kiguru, Annkyla Njeri Waiharo and Abigael Wanjeri Waiharo. Brother of Peter Nganga, Muthoni Muigai, Jane Wairimu, Wambui Ndegwa, Mary Njeri and Stephen Njoroge (Principal Ndundu secondary). Step brother of Dedan Mugo, the lateWambui Karuki, the late Waithera Karuga, Paul Njoroge, the late Wanjiku Mihunyo, and Wahu Mbugua. Friends and family are meeting daily at his residence for prayers in Thika, Landless along thika Garissa highway from 7pm and his rural home in Kirura. A memorial service will be held on Monday 23rd from 4pm at PCEA Happy valley Church. The cortege leaves KUFuneral Home on 24th April, 2018 for funeral service at PCEA Gathiruini Church and thereafter burial at his farm in Kirura village, Gathiruini. "Yes," says the Spirit, "that they may rest from their labors, and their works follow them." (Rev 14:13).